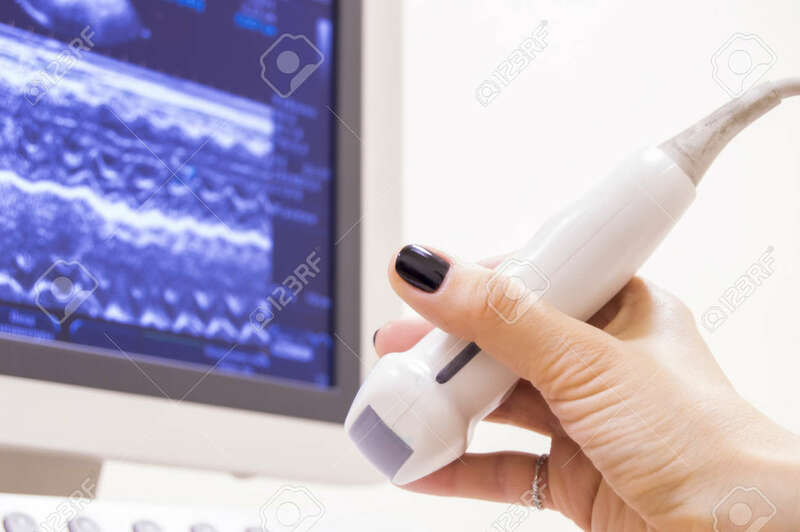 Woman Doctor Is Holding Ultrasonic Probe In Hand Background Of Screen Ultrasound Machine And Preparing For Ultrasound Study For Patient. Scene For Diagnostic In Internal Medicine And Medical Practice Royalty Free Stok Fotoğraf, Resimler, Görseller Ve Stok Fotoğrafçılık. Image 72378909.